For your convenience, we offer a full-service Optical department within our facility. 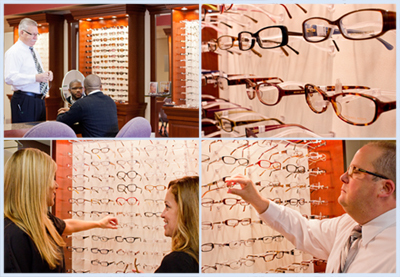 Our full service optical department, with over a 1000 frames to choose from, has something for everyone. We offer the latest in designer fashion styles to more traditional styling. Our experienced and knowledgeable optical staff is always ready to assist you in selecting frame styles and lens products to enhance your individual lifestyle and visual demands. Have you been told you can’t wear contacts because of your astigmatism or “they don’t make contacts in your prescription”? Our contact lens department offers many options for those interested in contact lenses, including custom fitted contact lenses. If you’re tired of reaching for those reading glasses, call us to see if you’re a candidate for contacts that allow you to see clearly at both distance and near. Our contacts lenses are competitively priced and can be shipped directly to your home! Call us at (770) 419-1393 for our most current promotional offers and rebate information.